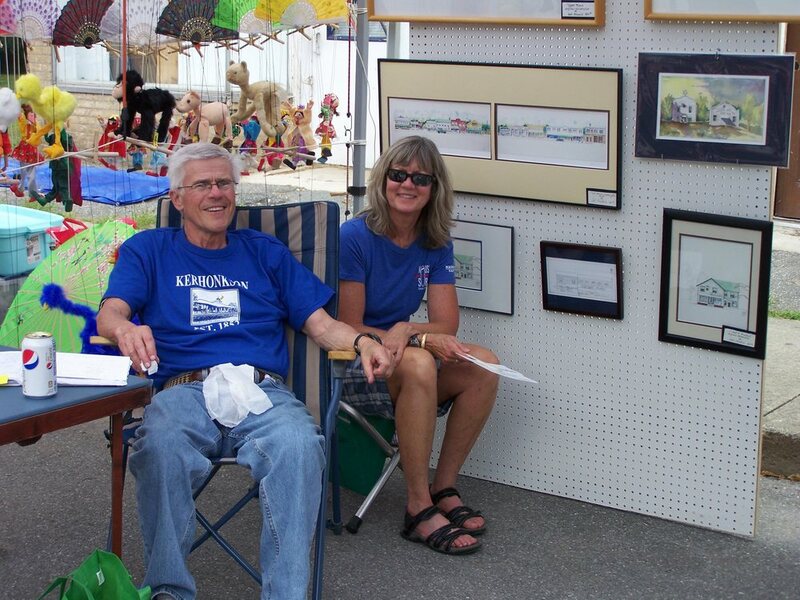 Local Historian, Art Stockin, wrote a brief History of Kerhonkson for us. Art's book Closed Until Further Notice is a great resource for more information on the area. When one crosses the bridge going east into the old hamlet of Kerhonkson, they are crossing into an area with a storied history. Delaware and Hudson Canal completed in 1828. The canal was responsible for the birth of such industry as Coopers, coal, lumber, blacksmiths feed stores hotels and taverns, dairies and machine shops. The hamlet flourished during the canal days as barges, drawn by mules, transported mostly coal from Pennsylvania to the Hudson River. It was during this period that the hamlet of Kerhonkson flourished.As the country began to grow and change, so did Kerhonkson. By the 1930s, the Jewish population which had escaped Germany and Poland as Hitler was squeezing in settled in NYC. But the filth and smoke and noise and the gloom of the Depression chased these people north for a new life in The Catskills. They brought with them their trades of tailoring, shoe making, butchering, printing and food marketing. 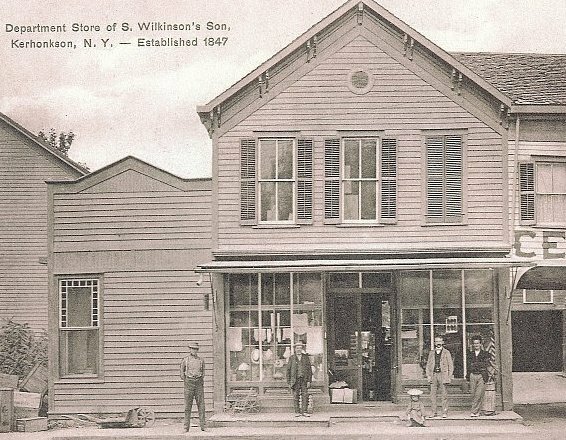 They constructed new stores and buildings to house their businesses. Soon after, 100s of bungalow colonies and hotels sprung up. Many of the clients of these resorts boarded the train in Hoboken, N.J. and migrated to the small towns north of the city. 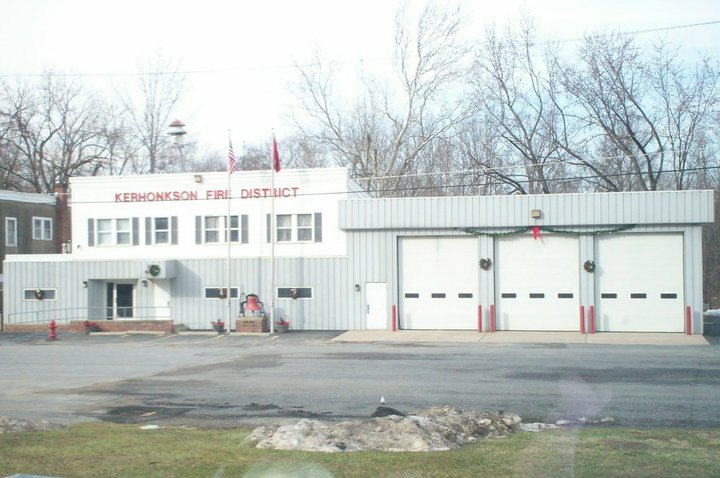 Kerhonkson became one of such villages and it boomed during the 1930s, 1940s, and 1950s. By the late 1800s they had completed the two large hotels on the mountain, Lake Minnewaska and Lake Mohonk. They would meet their clients at the train station with their horse and wagons, just as the owners of the bungalows and hotels did later. Nearly all of the businesses were owned and run by Jewish merchants. They built synagogues. The bungalow residents shopped for food and clothing in the Kerhonkson shops. The town flourished with a vibrant, carnival like atmosphere. As the Iron Horse came into popularity in the late 1800s, the Delaware and Oswego Railroad replaced the now obsolete canal. The railroad was completed by 1909. Railroad stations were built in each of the hamlets along the route which now occupied the old canal tow path which took over the old canal and became the rail bed. Mean while, the railroad (D and O) had been struggling since its inception and then took a sharp decline in the 1940s when coal was being replaced by oil and dairy products began to be moved from upstate via trucking, which a new and improved road system and better trucks for transporting emerged. 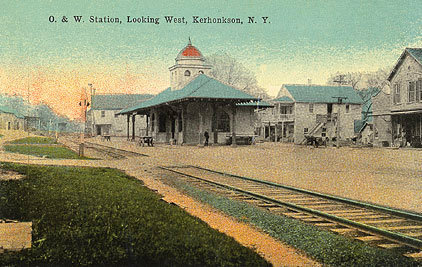 The railway continued to decline until 1957 when the last train passed through Kerhonkson and the tracks were pulled up. The rail stations were vacated or steelballed. Soon after, the high school, which had been built in 1926, centralized with other surrounding school districts and the school building became an elementary school. A recent rekindled interest by the younger residents has ignited a new spark and with the completion of the new bridge and new sidewalks, a new spirit is emerging. Kerhonkson Day held in the early fall, has become a bigger and bigger occasion each year. This year it even featured a 5K road race.